Hi Erin and Rose! Tell us a little bit about yourselves. Howdy! Rose and I are both native New Englanders and have degrees in Fine Arts. We met while working at Anthropologie as Display Coordinators back in 2008. Since then we've been roommates, travelled to India, and then finally became biz partners. What lead you to begin Forêt? Our affinity for flowers and the natural world and a desire to bring a fresh style to the Boston scene. Foret is French for forest. Our name is a reflection of both our inspiration and style -- we love bringing an earthy and natural-inspired look to our events. Although, not all of our events reflect this aesthetic, we consider ourselves concept-driven designers who can shift our approach based on our clients' needs. What is your inspiration and process behind your floral designs? You recently opened a new business, Queen of Swords. Congratulations! 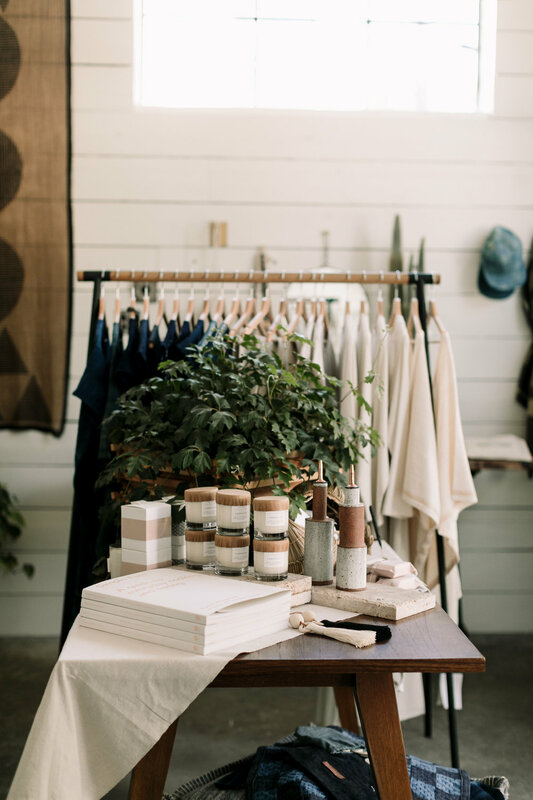 What made you want to open a brick and mortar shop focusing on clothing and home accessories? Thank you! We're so excited to offer something new to the Somerville and Boston community. We've always had an itch for retail especially with our backgrounds in store displays and new store openings. We're lovers of beautiful objects and thrive on creating lovely inspiring spaces. We thought what better way to do that and share it with others than with a shop. Plus, it's a great way to allow to folks to peak into our event world, as the glass door in the shop is one of the entrances to our studio space. Did having the background in floral design and styling help to create a specific atmosphere for QOS? Absolutely! This is an outlet that allows us to really showcase who WE are rather than focusing mainly on what clients want. The shop feels personal. It feels like an extension of ourselves, but also highlights our ability to create a warm, natural space. Yes, the most amazing team of bright, talented women! Tibby, our studio manager, started off a seasonal employee and has worked with us for 3 years. Marin started off as an Intern and we felt like it took so long for her to graduate school (of course, just the standard 4 years). After her internship, she still came on and helped us as a freelancer. Now, she works on events and acts as our shop manager! We also have an amazing community of freelancers and friends that jump in to help throughout the season. With events, an open door, big smiles and genuine conversations. Don't get us wrong, the internet is a great tool and resource for finding, well, anything. But, there's nothing like seeing something in person, flipping through that cookbook, putting that candle up to your nose, spritzing your wrists with a unique new fragrance, and actually touching and feeling the weight of that garment. Beyond that, it's connecting with people and sharing the stories of the products we've found and love ourselves. The people. All the people. We're in a co-working space-- and working alongside other businesses like Forestbound and Recover Green Roofs, is incomparable. 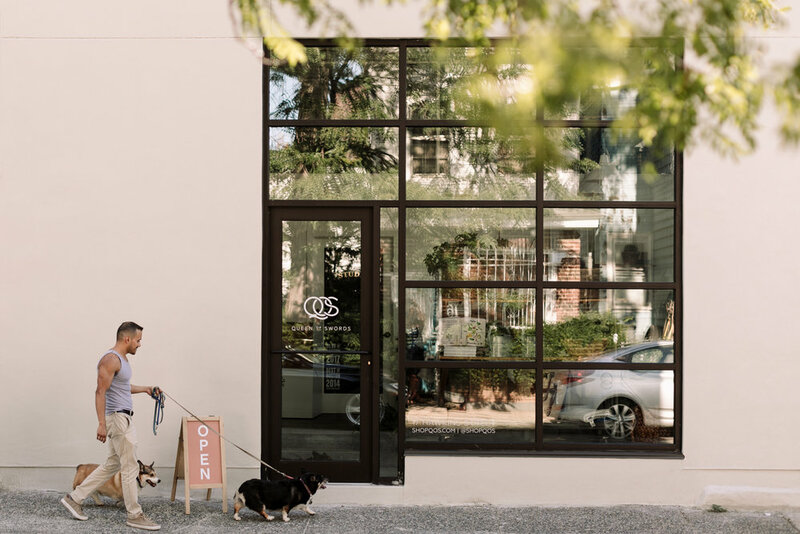 Our team, including all of our freelancers, our clients, vendors, other businesses in our community like Loyal Supply Co and now our shop customers. Erin: Personally, I'm a lover of materials (earthenware, basket reeds, rope, linen, wax, and other natural objects). Exploring materials, shape and form, color, and movement has resonated with me since childhood. Being able to curate a world of material elements and sharing that with others brings me great joy! 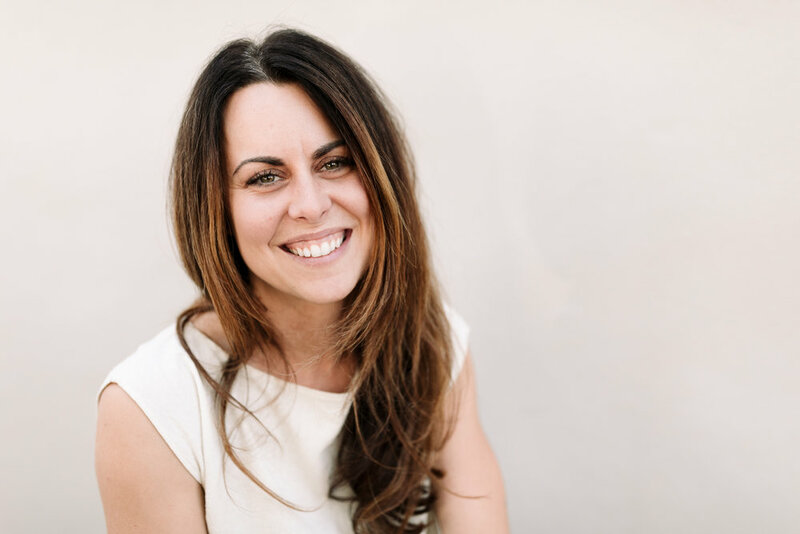 Rose: I love connecting with our clients, vendors, and community. I'm so inspired by everyone's path and have loved getting to know so many amazing couples along the way. What are some of the setbacks or challenges you faced when starting Forêt and/or QOS?Creating systems-- systems are your best friend. Once you have a system, you can follow it, but establishing them takes time and some trial and error. Because the "future is female" right?! We have got to stand together as women -- we truly believe that women are the future. Everything good has some balance to it. It's way past due for this world to embrace equality for all. But, we can start right here at home. Many of our products are made by women or women-owned companies. There is no shortage of inspiring women, but the first that comes to mind is Grace Bonney. She has forged a pathway for creative women for over a decade. I consider her our modern Martha Stewart! She encourages women to do their thing and not just be domestic! For me, working at Anthropologie as Display Coordinator was such a great platform for learning and working with inspiring women and men. There were many folks at Home Office that I worked alongside that truly inspired me. But honestly, that person would have to be my partner, Rose. Together, we have been through it all. Without her, I would not be where I am now. She has encouraged me to take risks, to explore, to be me and trust in myself and whatever vision I might have, at the same time she balances that energy out and challenges me. I have grown because of her. Hosting more events and continuing to watch Queen of Swords evolve. Clippers! Haha...no, actually, working in a co-working space has been the best resource for starting a new company. Having other businesses around you who have gone through or are going through some of the same challenges you are, makes it easier to problem solve them. You can rely on each other, share tools and resources-- it's like having a beautiful library of small businesses right next door. That's tough, but we've gotten so much better at it. Hiring help, not checking emails after hours, planning vacations, and setting a schedule-- that's a big one! What are some of your favorite places in Somerville/Cambridge/Boston? Well, we love good food and drinks. There's too many to mention them all but Mamaleh's, Sofra, Brookline Lunch or Watertown Deluxe Diner are some of our favorites for breakfast. Rose and I tend to do working meetings on Mondays at one of these establishments. Our other favorites include Oleana, Myers and Chang and Coppa. On our days off, we love strolling through Mt. Auburn cemetery or the Harold Arboretum.